First and fore must I personally wanted to thank all of our supporter’s, Our ARB Army who’s been with this movement from the beginning, I’m sorry that I haven’t been posting and sharing anything and the past few months, I’ve just been extremely busy, with trying to build our, Resource page, to where it covers All 50th states, being able to find help for those who battle’s with some form of mental illness get’s the help they need. That right now id my #1 top Priority, as The founder and The President of this Foundation it is my responsibility to learn as must as I can possibly can about all forms Mental Health illnesses so that I can lead The ARB Foundation and, our ARB army in the right direction. I promise you that we are working hard and we will be back posting daily in the next couple of weeks, and we have a few surprises, and changes coming down the pipeline here soon. So once again We here at The ARB Foundation truly appreciate the love and support for this Foundation and Ali Brown. Supporting someone with a Mental Health Illness like Depression is one of the toughest things person could do. It’s not easy watching a person you love in so much pain. if you even experience, living with depression or taking care of someone with depression you really have no clue how depression affects your body. Depression is more than just tearfulness or feelings of sadness. It refers to a range of mood and other symptoms that are intense, long-lasting and distressing to the person. These symptoms will likely interfere with a person’s day-to-day life and relationships. loving someone with this illness is challenging because you never know how your loved one is going to react on a daily basis. The frustrating thing part about it is feeling helpless, you wonder how you can maintain, and you wonder if it’s really worth it…… The temptation is there to tell your loved one to “look on the bright side” or “snap out of it.” But would you say that to a physically injured person? Mental illness can be difficult to understand what it is like unless you’ve experienced it yourself. We live in a world where “5 Easy Steps” is touted as the solution to all problems. But the reality is that getting out of bed and going to work when you’re depressed isn’t about following a simple lifehack, summoning the right amount of willpower, or bribing yourself. Motivating catchphrases are never helpful, and will probably be met with hostility and irritability. Don’t be discouraged. Overcoming depression is possible and probably for many people, but it’s no simple task. So what can you do for your loved one? what I’ve learned is that you have to be persisted. Take the time to communicate to your loved one. Reassure them that you understand and that you are here for them. Let them know you don’t think they are weak, and that you know they are not choosing to feel the way they do. Involve the person as much as you can in the decision-making process. So rather than saying, “You need to get out of the house and go outside today,” you could say, “I’d like to get outside today. Would you rather go for a walk in the park or go see a movie?” If they refuse, it’s important not to force them to do anything. Instead, provide genuine praise for the small successes and avoid sarcasm. Loving someone with a Mental Illness takes time, and you can’t force it. Never ever forget to care of your mind, body, and other relationships when a loved one is struggling. Depressed people are often perceived as being self-centered because all of their focus and energy is caught up in dealing with the disorder. Therefore you may need to turn to other friends and family members for support and encouragement. Counseling or a support group can be an incredibly helpful resource to learn more about depression but also to learn positive coping skills for yourself as well. Always Remember to always encourage your loved one to seek help and please check out our Resource page to get help for you or someone you know that is battling depression or throughs of suicide in your local area. Also want to send out a Merry Christmas, to our soldiers, first responders & medical personal in your prayers. Be safe & enjoy your families & remember the reason for the season. Good morning everyone, here at the ARB foundation, we are constantly working hard to grow our resources page to include all of the best mental health, and substance-abuse groups, and organizations. regardless of your location In the world. So once again thank you for your patience and continuous support. Many people get depressed at one point or another throughout life. Whether it’s caused by death of a family member, environmental stress, or mental illness, feelings of depression can become difficult for many people. Unfortunately some people get so depressed as a result of their mental illness or life circumstances, that they consider suicide as an option to escape from their emotional pain. •	The annual age-adjusted suicide rate is 13.26 per 100,000 individuals. •	Men die by suicide 3.5x more often than women. •	On average, there are 121 suicides per day. Depression is the most common condition associated with suicide, and it is often undiagnosed or untreated. Conditions like depression, anxiety and substance problems, being bullied, especially when unaddressed, increase risk for suicide. Warning signs…… Something to look out for when concerned that a person may be suicidal is a change in behavior or the presence of entirely new behaviors. Risk factors are characteristics or conditions that increase the chance that a person may try to take their life. Most people who consider suicide don’t really want to die, they just don’t know how to cope with or eliminate the pain they are going through. If you know someone who is suicidal or you are suicidal yourself, getting professional assistance and learning suicide prevention strategies can be of significant help. Included below are some suicide prevention quotes that can be referenced during difficult times. 90% of people who die by suicide have a mental disorder at the time of their deaths. There are biological and psychological treatments that can help address the underlying health issues that put people at risk. If you recognize any of these warning signs, or suicidal thoughts in your loved ones be sure to take the person seriously and get help. Get the person in for therapy and/or if they pose an immediate threat to their own life, call the police. Today we’ve started a campaign to help raise money to get our 501c(3) completed. 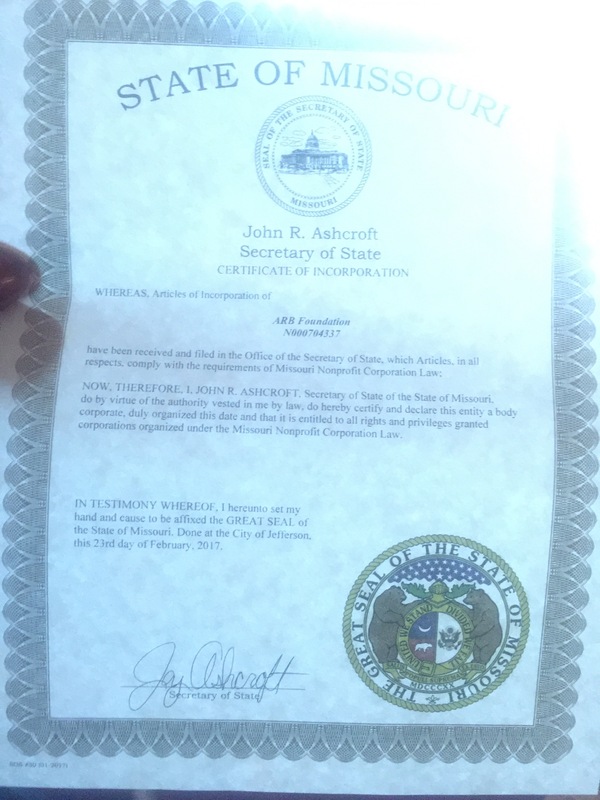 This will ensure that our foundation will become tax-exempt and officially a non-profit entity. The goal for this campaign is to reach $700 dollars. Once completed, those funds would cover our 501c (3) and IRS application fees. With that being said, we here at the ARB Foundation would appreciate if you, the ARB army member, could help us hit our goal of $700 dollars by donating to our You-caring fundraiser account. Any type of donation will help so we can officially become a fully functioning nonprofit organization. These shirts represents so much, and Ali’s memory is one. The ARB Foundation is proud to be apart of the solution for these issues that people around the world struggle with everyday. We are honored that we can create dialogue that helps to educate and raise awareness of these issues that plague Americans and people across the globe the deal with these everyday struggles. Re-designed Your story isn’t over tee’s, we have them in all sizes. 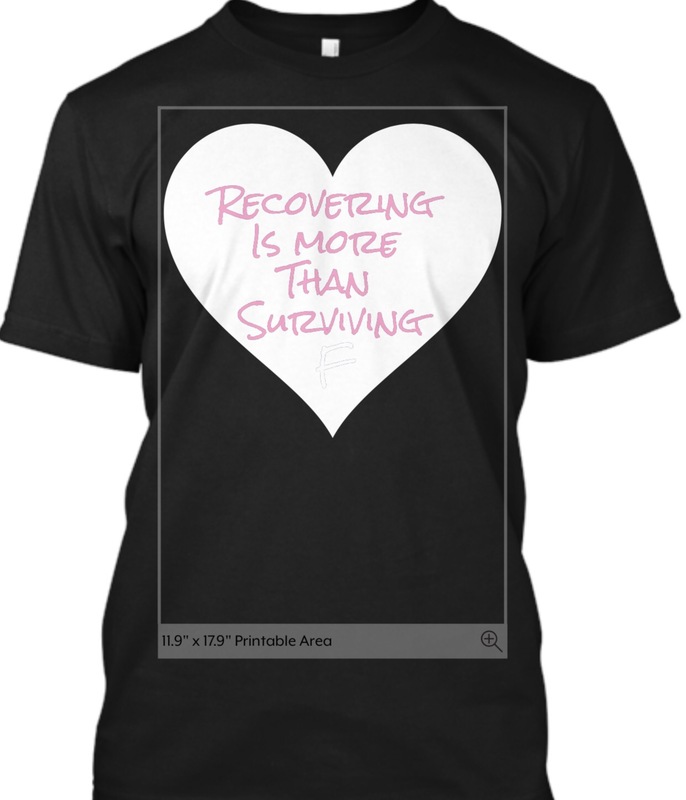 They are available right on teespring.com 25% of the proceeds will go forward Anxiety and depression Association of America. So is your support our cause, and you support Ali then this shirt is for you. These are our inspirational shirts. The ARB Foundation is all about spreading awareness through positivity while uplifting those in need to help them become their greatest version! Your depression and your anxiety doesn’t determine who you are. With these shirts we want you to look at us as your source of positivity and hope when you feel like you have none. The ARB Foundation will always be here for you. The U.S. Department of Veterans Affairs estimates that PTSD afflicts: Almost 31 percent of Vietnam veterans. As many as 10 percent of Gulf War (Desert Storm) veterans. 11 percent of veterans of the war in Afghanistan. All Veterans with PTSD have lived through a traumatic event that caused them to fear for their lives, see horrible things, and feel helpless. Strong emotions caused by the event create changes in the brain that may result in PTSD. … Yet only some will develop PTSD; the reason for this is not clear. There are 21.8 million veterans of the U.S. armed forces as of 2014, according the Census Bureau, approximately 10 percent of whom are women. To put that in context there are 319.2 million Americans, according to the bureau. 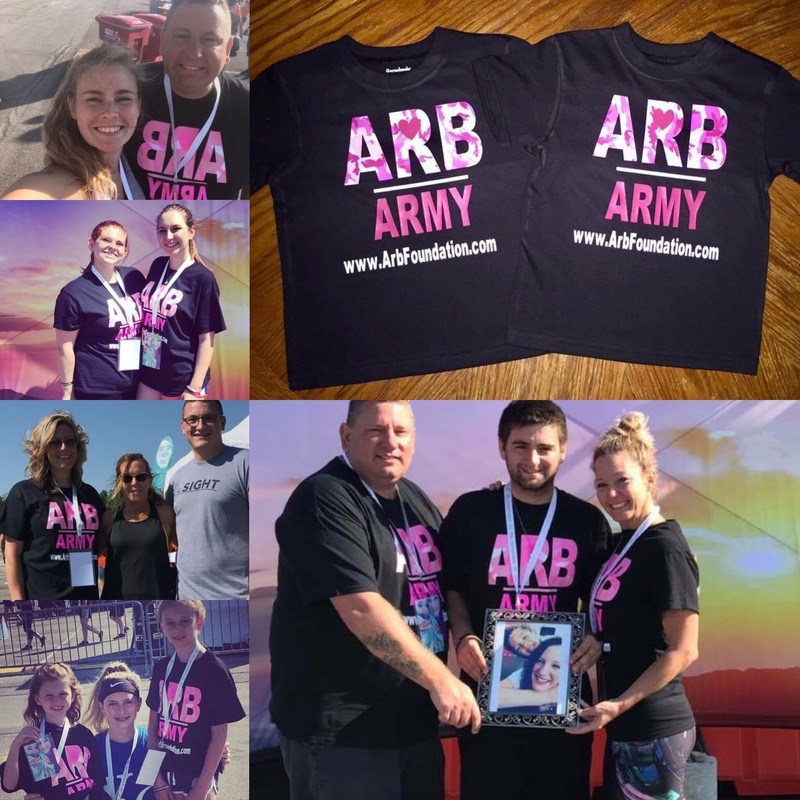 The ARB army shirts and this foundation was established to keep Ali Renee Brown’s dream of helping those out there struggling with depression, anxiety, and addiction just like she did alive. 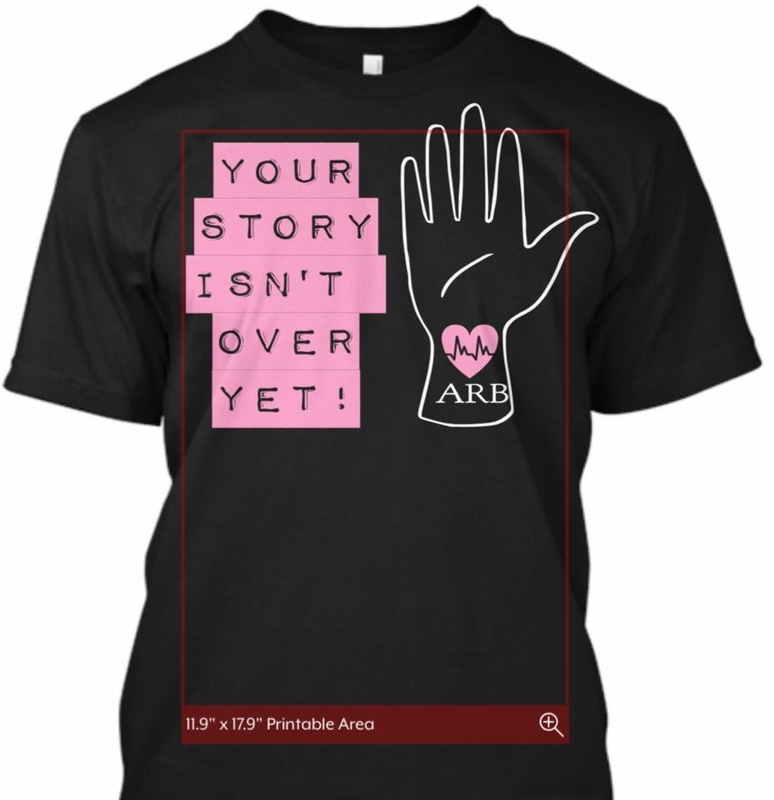 A portion of the shirts proceeds will be helping to fund the local mental health and first aide programs in the Kansas City area, as well as helping to build ARB foundation into a reliable source of hope in the community. Did you know that 1 and 5 Americans struggle with some form of mental illnesses? Depression is a common illness worldwide, with more than 300 million people affected. Depression is different from usual mood fluctuations and short-lived emotional responses to challenges in everyday life. Especially when long-lasting and with moderate or severe intensity, depression may become a serious health condition. It can cause the affected person to suffer greatly and function poorly at work, at school and in the family. At its worst, depression can lead to suicide. Close to 800 000 people die due to suicide every year. Suicide is the second leading cause of death in 15-29-year-olds. if you or anybody you know that is going through any type of depression there are services in our city that can make a difference. Then we have our ARB shirts! Back on January 12, 2017, police said three men showed up to Brown’s apartment and opened fire. A couple and Ali Brown died from their injuries. This is our only way of getting justice, by keeping her dreams of help those in need alive, and by keeping her story in the public eye. Please click here to show your love and support for Ali, her cause. Please include what size you want and your contact info – we will send you a PayPal link upon receiving your email. 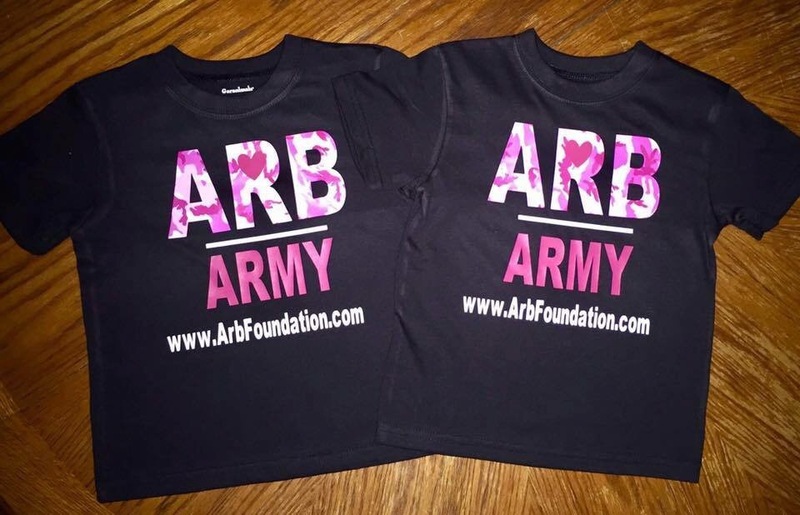 And just like we do with Karson Krusaders shirts once you get your shirts email us at alireneebrownfoundation@jgmail.com A photo of you wearing your ARB T-Shirt, and we will feature you on our social media accounts, and our website! When I started this whole ARB Foundation I was at the lowest point in my life, and wow never did I ever think that this foundation would be this big in such a short period of time as it is right now. I was suffering from depression really bad. My depression stemmed from me losing someone I truly loved. 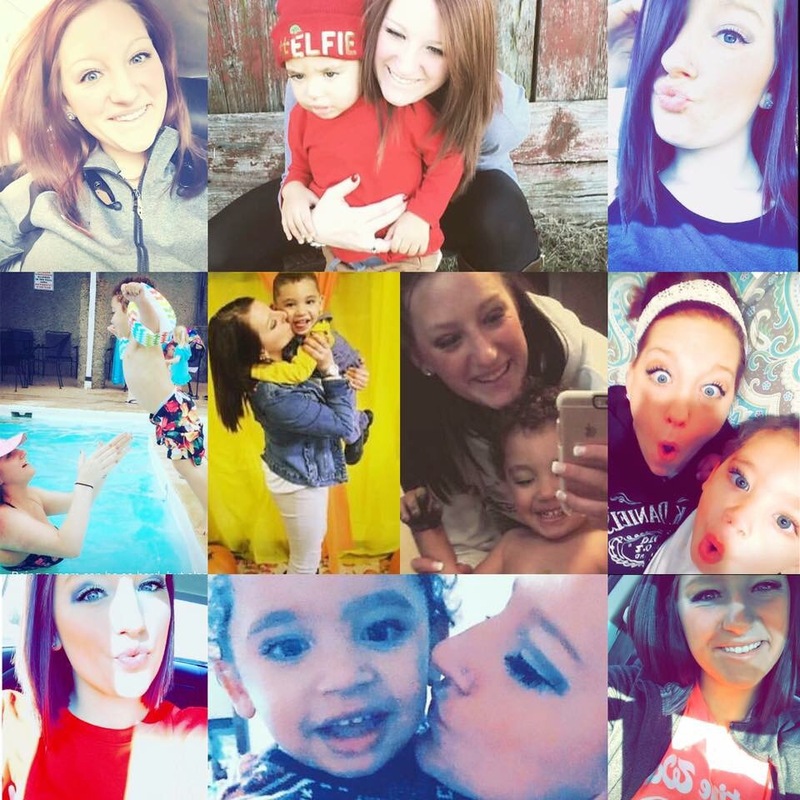 Ali Renee Brown, I can go on and on about how much I love her and how she and Karson was and is still my world, but you guys already know that. The ARB Foundation was my way of keeping Ali heart alive…….. All she ever wanted to do was to help those in need, Ali heart was so big she wanted to help those suffering from depression and addictions. Ali was strong she battled her depression, and her addiction every day, and always maintained a smile on your face even if it was just to put on the front. She lived her life to the fullest. Ali would often tell me about her group meetings and how she felt close and connected with all the people there in some way. Maybe because they were all going the the same situation. I will never forget the day she came over to my house after her group meeting and all she talked about was how she wanted to help those struggling with depression and addiction just like her, an in that moment I could see it in her eyes that she found her calling in life, and that’s what she wanted to do. 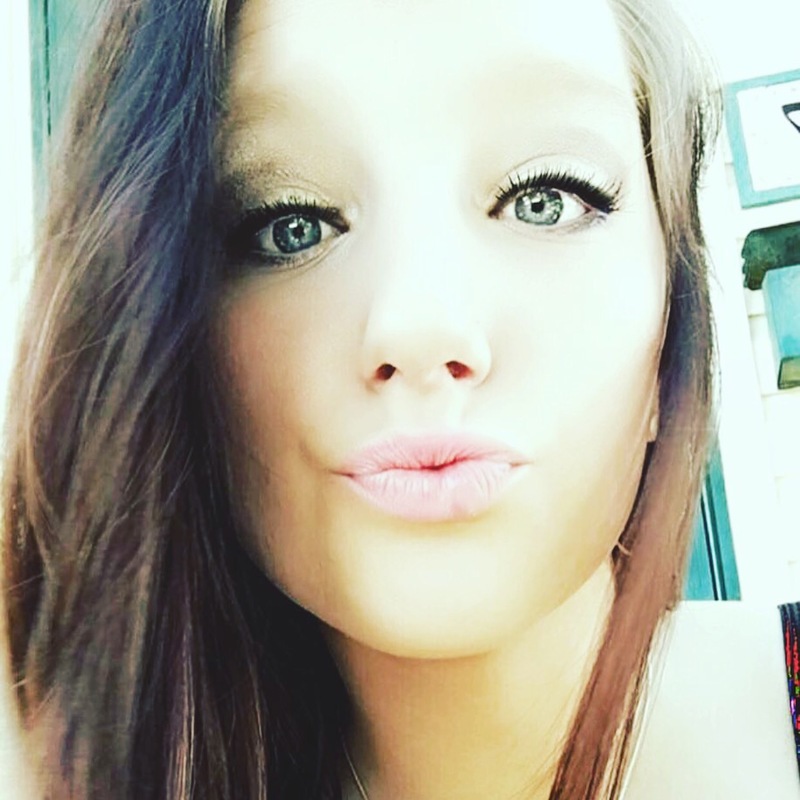 Ali wanted to help young women like herself to defeat their demons and to Rise up against depression and drug addiction….. From that moment I knew I wanted to help her achieve her dream. 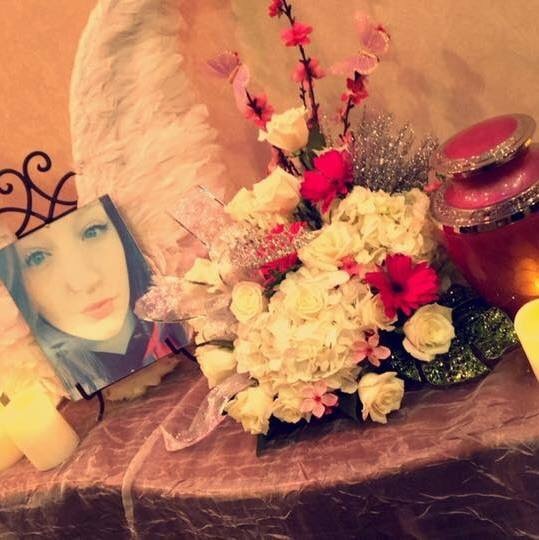 On January 12th 2017 we lost Ali, Not to her depression, or to her addiction. On the 13th of January, my birthday I found out that I had lost the one person I ever truly cared about in this life beside her baby boy Karson. That’s when my life became worthless, I felt empty, I felt like i lose a part of my soul, and that when my depression kicked in. I was lost, I couldn’t eat, I couldn’t sleep, i didn’t leave my house until her funeral!! By that time I’d had lost a lot of weight I was so angry with myself, I didn’t know how the face her family. I truly hated the world… I hated myself for not being there with her in her time of need to protect her. Man I felt so low and empty I miss you. And I hate that I miss you, because I shouldn’t have to. We should have been plan our life together…. I should be able to call you up. I should be able to see you face them big blue eyes anymore, and knowing that was the worst feeling ever. Feeling that way really made my depression even worst. But one day that all changed when Ali came to me in a dream, and she told me that she was happy and free of this world and that her legacy would always live on with her son, her family and with me! 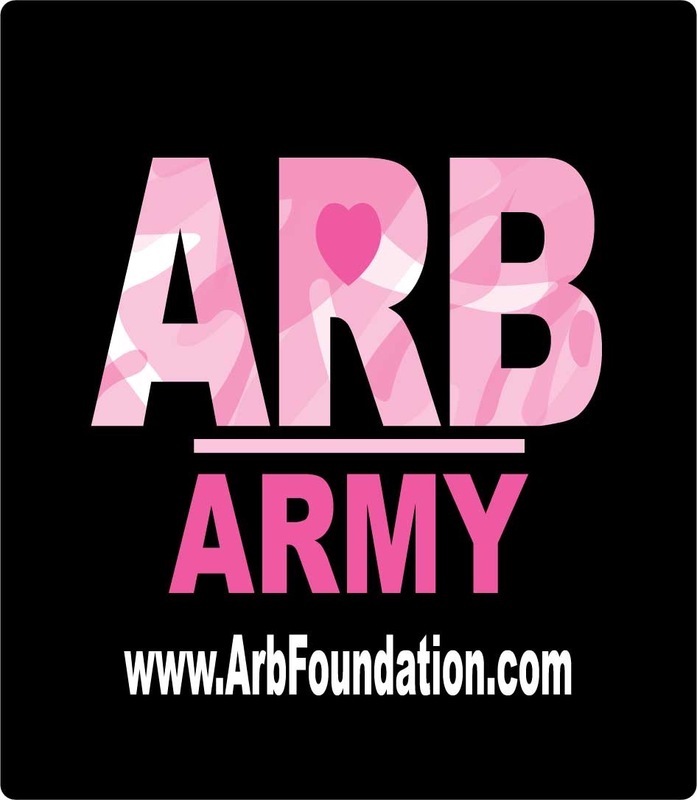 She told me that I had the opportunity to help those in need those who are battling with depression and addiction just like she did that I had the opportunity to help them and to have her legacy live on forever…….. With the ARB Foundation. Then I woke up!! True story……. I will never forget that dream. I know that Ali know that I was at my lowest point, and that she had to motivate me, she had to pick me up, because she knew that the depression was keeping me down. So she challenged me to make a difference, to take the dream she had to help those with the same situation as her, and to help them become their greatest version. So that’s when I knew what I had to do, so I told the ones closest to me that I was starting up a nonprofit in Ali honor. I asked her Parents if It was okay if could name my nonprofit organization after Ali, they give me the okay and their love and support and the rest is history. We started ARB Foundation officially about 5 months ago and I can’t express how grateful I am for all the love and support we have accumulated in such a short time. I am forever grateful to all the people who have supported me, from the start people like Emma Bartshe, Rhonda Dean, Trent Brown, Kendall Foreman, Liz Bentley, etc…… Because without you guys, and Ali, and Karson, none of this wouldn’t be possible. 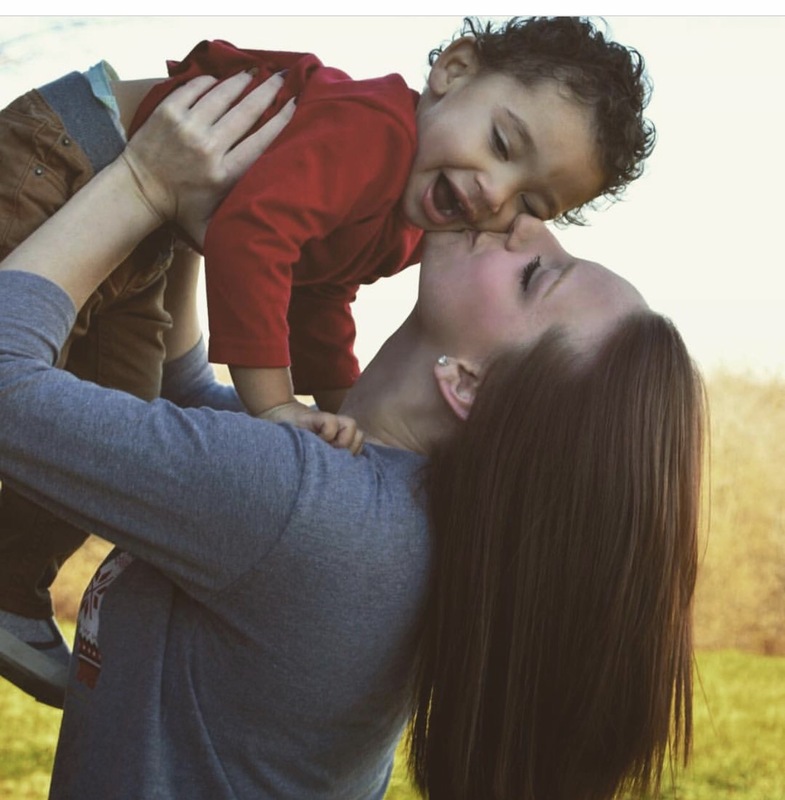 Thank you…… Ali Renee Brown, for changing mylife forever.